Apples are one of my favorite fruits. Because there are so many ways to enjoy them, they never get old. Candied, baked, pies, cider, sauce, butter--the possibilities are endless. However, I think caramel apples are my favorite kind of all. Tastee Apples creates some delicious caramel apples that have definitely earned their name. 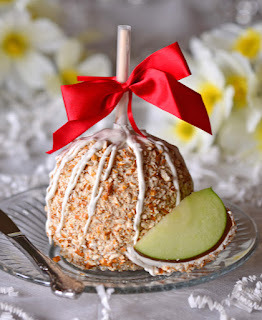 You can't help but fall in love after you bite into one of these scrumptious caramel apples that are made by hand and as beautiful to look at as they are to eat. Opening up my box of Tastee Apples was definitely a treat. There were four different kinds for me to try. Plain caramel, caramel with nuts, turtle (which was nuts, caramel & chocolate chips), and chocolate caramel. I would be hard pressed to choose a favorite because they were all pretty fabulous. There's a nice thick layer of caramel on every apple that makes them chewy and delicious. After biting into them, I was happy to discover the green apples were fresh as can be. Whenever I buy candy apples at the store, the apples always turn out to be old and not very juicy. These are made fresh and delivered right to your door, so you're guaranteed a perfect apple every time. Getting my kids to eat fruit has never been easier! Tastee Apples are definitely something to rave about. Crisp, delicious, and lathered in chocolate caramel and nuts, it's easy for everyone to find a variety they love. I'm sure Johnny Appleseed himself would give a nod of approval. They would make a fun choice for a Mother's Day gift or a nice indulgence for yourself. If you'd like to try Tastee Apples, head over to their website to view their full collection. If you're thinking about making a purchase, now would be a great time. 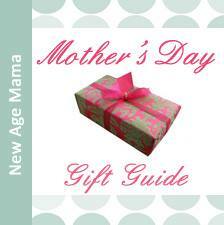 New Age Mama readers are being offered an exclusive discount. Just enter Tastee15 to receive 15% off your order at Tastee Apple. There is no expiration date on this offer! One lucky winner is going to receive a selection of six delicious caramel apples! Specific varieties chosen at sponsor's discretion based on current availability. To enter, just fill in the Giveaway Tools form below. This giveaway will end on 5/5/16. Open to the US only. The winner will be notified via email and will have 48 hours to reply. Thanks again to the sponsor for offering this fantastic prize. I would love to try the caramel apple. Thanks for the chance. 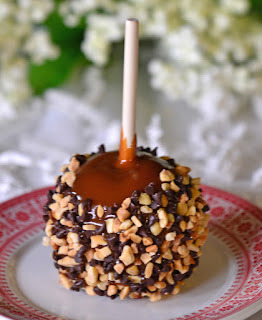 Would love to try the caramel apple with peanuts. I'd prefer the Chocolate Pecan Obsession,has everything I love included right there! I've never tried a jelly Apple. I'd be willing to try it. I'd love to try the chocolate pecan obsession. I'd love the caramel covered apples! I would like to try the jelly apple. Beautiful apples! I would love to try Double Chocolate Delight. I would like to try the chocolate pecan obsession! I love the idea of combining these flavors. Chocolate Pecan obsession..oh my that sounds delicious! I'd like to try the Caramel with Peanuts. White Chocolate Pretzel looks and sounds delicious! The caramel apple looks and sounds amazing. These are one of our family favorites although we have never had this brand. Chocolate delight! Looks so yummy! I would love to try a caramel covered apple first and then slowly try the rest of them because they all sound so delicious! I would like to try the triple chocolate sensation. They look delicious on their website. I'd like to try Caramel, Coconut with Jellies, Chocolate with peanuts and all the other flavors. Double Chocolate Delight looks really good. I'd like to try the Triple Chocolate Sensation apple. Can never have to much chocolate. Chocolate pecan obsession sounds lovely! I would l ike the triple chocolate sensation. I'd love to try the turtle flavored apple! I think I would like the Triple Chocolate Sensation Apple! The Chocolate Pecan Obsession sounds good. I'd love to try all of them, beginning with Super Premium Chocolate Pecan Obsession Apple. They look delicious. I want to try the chocolate pecan apple. I would love to try the candy apple! I would like to try Classic Cookies & Cream. I want to try them all, especially the Turtle Caramel Covered Apples. Thanks. 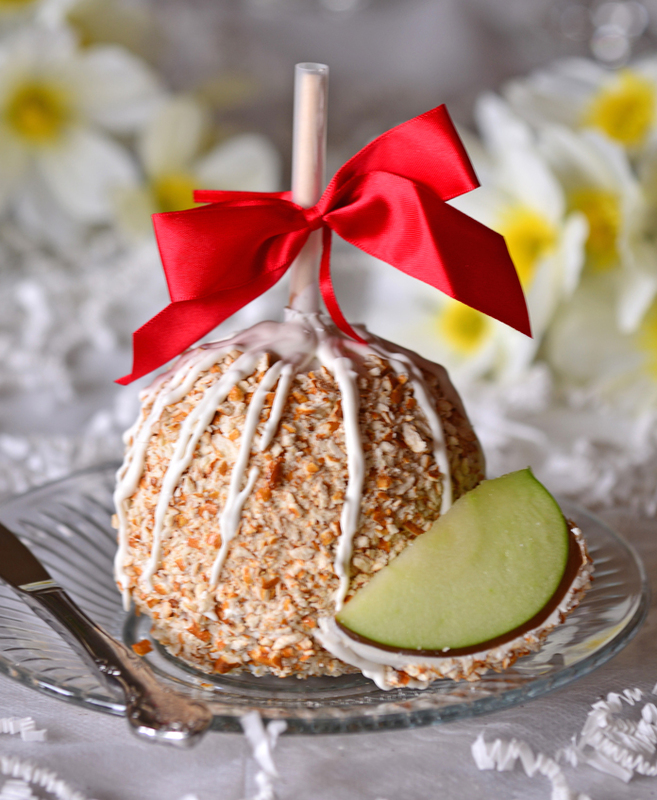 I would love to try the Gourmet Cookies ‘N Cream Caramel Apple. Omg! I would love to try the chocolate delight, but they all look amazing! Thanks for the chance. Good luck everyone! I would love to try the Chocolate Pecan Obsession! The plain caramel apple actually looks the best to me! I would love to try the Turtle covered apple. I'd like to try the Classic Cookies 'n Cream apple.